The real love/hate relationship that gamers have with the Need For Speed franchise sees no sign of abating, but should you be one of those in the ‘love camp’ then you’ll no doubt be hugely interested to hear that from today a host of new vehicles have become available for you to hoon around in. Want all the details? 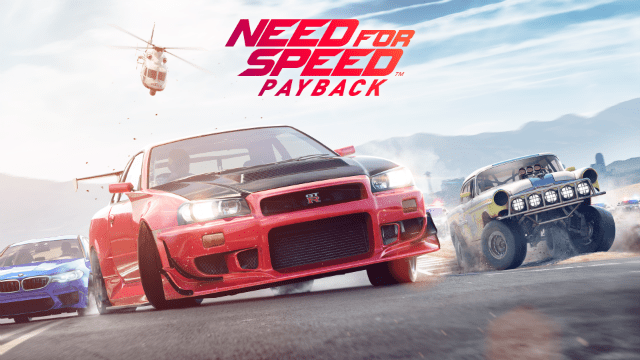 Need For Speed Payback is expanding and today we see no less than 7 new cars hit the mean streets of Fortune Valley, ensuring that there is yet more reason to head back into EA’s latest NFS title. You will find each of these motors available for just £1.99 each, as part of a full £7.99 bundle, or mixed up in some tri-packs for £3.99. EA Access subscribers obviously get the usual 10% discount on all of those prices too. If you wish to enhance Payback, or just can’t turn down the lure of the likes of the MINI Countryman, Range Rover Sport or Alfa Romeo, then you should head to the Xbox Store and get your download in asap. You’ll obviously need the full game in place in order for you to get behind the wheel of these cars, but with it available on EA Access for free, you really should have a copy in your library. If you don’t, make sure you read our review and get that sorted.